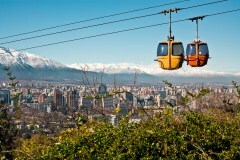 Continue to the bohemian area of Bellavista and climb the San Cristobal hill for a panoramic view of Santiago with the Andes Mountains in the background. 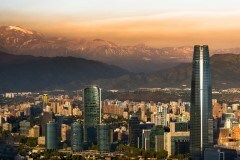 You’ll also visit the Orient Sector, the most modern area of the city, with its impressive high rise buildings and classy boulevards before you are offered a choice of the activities designed to enhance your Santiago experience. Continue on a walking tour through the Mercado Central, Chile’s largest fresh seafood market where you can try some of the local cuisine on offer. After breakfast, continue your journey toward the Pacific Ocean and stop over in one of the most fascinating cities in Chile; Valparaiso.‘Valpo’, as it is fondly known by locals, was declared a world heritage site by UNESCO, and it is not difficult to see why. Picturesque architecture and multi-coloured urban housing spread out over more than forty hills, creating one of world’s most eclectic, unique cities. Visit the downtown area with its new government house, Plaza Sotomayor, Plaza Victoria, the cathedral and the harbour area. Discover the colourful neighbourhoods situated high above the city offering fantastic panoramic views of Valparaiso. Here the upper and lower parts of the city are connected with 16 funicular railways constructed many years ago. Enjoy a delicious lunch at Hotel Portofino, located on a hillside overlooking the ocean and city. Later you will continue travelling north along the coastline toward Vina del Mar, the most famous beach destination in the region. Visit the beautiful Quinta Vergara and its ampitheatre, the beach and the casino before transferring to Zapallar where you will check in to your accommodation for the night. 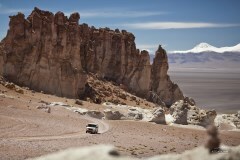 In the morning you will be picked up from your hotel and begin your journey north toward La Serena. Along the way, you will stop at a local eatery for a delicious lunch. 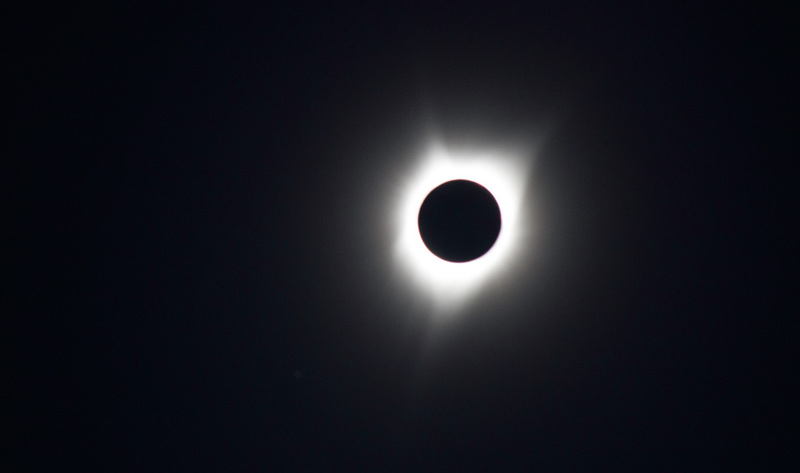 Afterwards you will hit the road and travel the outskirts of La Serena where you will find the perfect spot to stop and witness the total solar eclipse that will take place at approximately 16:40 pm.This captivating natural wonder will no doubt be an unforgettable highlight of the trip. There will be many people out and about enjoying themselves - a little patience may be required whilst moving around. Following the eclipse you begin your return trip to Santiago along the Pacific Coast . After stopping for dinner enroute you will break your journey in the small seaside town of Pichidangui at about 9pm. Breakfast, afternoon canapes, drinks & dinner included. After breakfast, you will be transferred back to Santiago, approximately two hours following an afternoon flight to Calama, in the north of Chile. 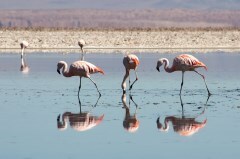 On arrival at the airport, a representative will transfer you to San Pedro de Atacama. This colourful village is located 2,440 m above sea level in the middle of a green oasis. Today will begin with a tour of San Pedro de Atacama – the centre of a Paleolithic civilisation that built impressive rock fortresses on the nearby mountains encircling the green valley. From there, you will take a brief drive to reach the 3000 year old pre-Columbian village of Tulor. The archaeological remains that can be viewed here constitute the oldest evidence of human settlement of the valley. Afterwards, continue the morning tour to the Pukara de Quitor a fortress, which has seen many battles. In the afternoon, you will visit Toconao; a village where white volcanic stone sculptures are made by locals. Your final stop for the day will be at Atacama Salt Lake; an inland sea formed millions of years ago and an impressive sight dominated by rock formations and crystalised salt. 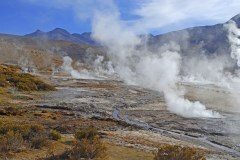 After breakfast, you will be transferred to Calama airport where your tour ends. 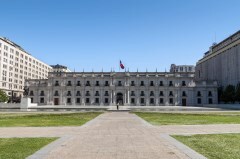 Take a departure flight back to Santiago, or alternatively, arrangements can be made with us should you wish to extend your trip in South America. The maximum group size for this tour is 18 people. For more information, please contact us.